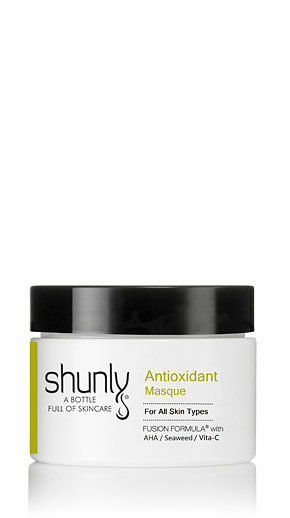 Rejuvenating and anti-oxidant cream with high concentration of Resveratrol to help repair the skin. 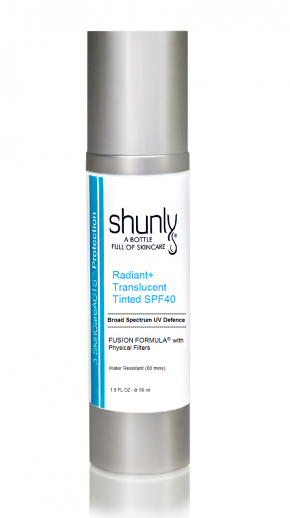 Shunly Skin Care’s latest innovation in wrinkle reduction, it provides CORRECTION (as part of 3 SkinCareActs™) of dull and uneven skin tone and expression lines thanks to Shunly Skin Care’s FUSION FORMULA® featuring Resveratrol combined with six most potent Peptides, which exhibit skin lightening and anti-oxidant benefits and Hyaluronic Acid that helps moisturize the skin. The formula is designed to help alleviate expression lines, remove toxins and provide anti-oxidant protection, hydrate and keep the skin light and radiant. I’m a middle aged man who has never used anything other than soap on my face. But I had this irritating skin flaking near my eyebrow. It wouldn’t go away. I got this product and literally within one day it was gone!! I mean gone! This stuff works… period…. end of sentence, and I will never use anything else! This is wonderful moisturizer! It is perfect for under make up or just to quench my skin. It is the only moisturizer I have found that does not make my eyes tear up. 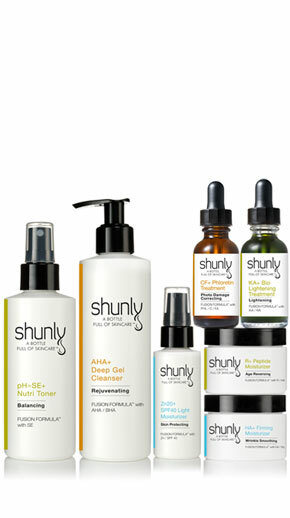 Great product — I am a true believer in the Shunly Skincare line. Thank you! I really like this moisturizer. I love the way my skin feels. This moisturizer is better than any I have ever used. It is not greasy or heavy but glides on and you can see immediate results. I have spent a fortune on skin care products of major brads for years and none of them have had the results of these products. Since I tried these products I have never used anything else. There is no comparison. My friends keep commenting that I am aging in reverse. Since I’ve been using this moisturizer I’ve noticed that my skin is softer and my brown spots are lighter. I really love this product, however, I have acne prone skin and am uncertain if the peptide moisturizer has triggered some oil gland responses. I have had an increase in acne since I started to use it, but it is also winter so my skin always has a hard time adjusting to winter weather. Again, it is a beautiful product, but it may not be the right fit for acne-prone skin?